David Shopiro had a choice to make: Would he save his restaurant or his colon? Shopiro’s restaurant, The Big Easy on East 55th Street and South Hyde Park Boulevard, re-opened at the end of October after it was shut down in June for what Chicago’s Health and Human Services department called “critical” violations of the health code. Meanwhile, Shopiro himself was dealing with the aftermath of a tumor. The most serious of the violations, which included rodent infestations, were issues with faulty appliances. The walk-in freezer, which had been running continuously for about 30 years, was not cooling food to a cold enough temperature for the health department’s standards, and the sink was not draining properly. But to fix these appliances, Shopiro needed cash that he did not have. “Every penny we make I have to make use of for medical expenses,” he said. Shopiro has the auto-immune disorder Crohn’s disease, which prevented him from getting insured in 2011 when he was diagnosed with a tumor in his colon, because insurance companies considered his Crohn’s disease a pre-existing condition. After the operation, Shopiro lost 47 pounds, and says he sometimes faints. Paying for healthcare out-of-pocket has made it difficult to afford the repair costs to The Big Easy. While Shopiro was coming up with the money to fix the appliances the restaurant was forced to shut its doors in June. 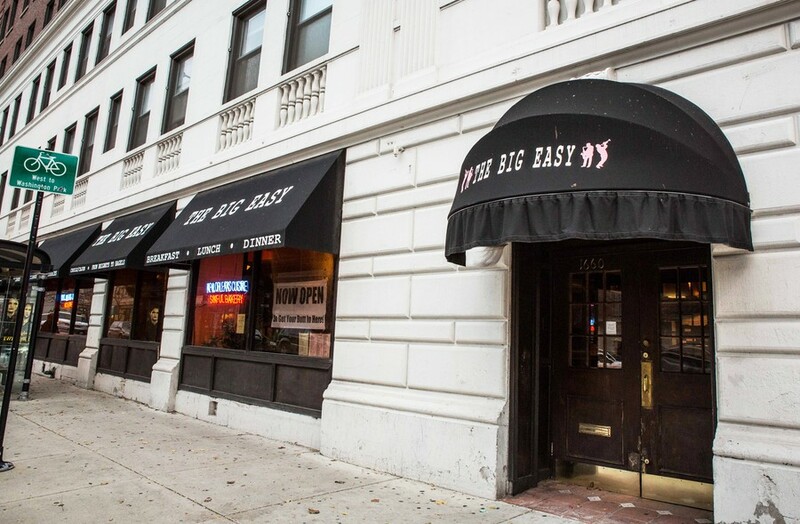 After closing, The Big Easy failed 14 health inspections in a row. “The problem with failing is that they charge you $50. So when I go to renew the license, it’s going to cost like an extra $500,” he said. Fines were a small cost in the total bill to re-open. Shopiro also needed to buy new motors for the freezer and fix the plumbing of the sink. The cost of just the motors was over $10,000. “That’s a lot of money. I didn’t have that right away. And you can’t reopen until you fix things like that.” Shopiro said. Shopiro considered shutting down his restaurant. That’s when his former employee Jean-Claude Pallah, approached him with an offer to buy a stake in the restaurant. Pallah now owns about a 35 percent stake in the business. Several other investors own smaller portions of the business. Shopiro still owns the majority share, though he’s eager to move on. Pallah, who envisions a more exciting atmosphere at The Big Easy, has already begun to make changes to the restaurant, including hosting DJ parties, karaoke nights, and fashion shows. Pallah also hopes to counteract the unclean reputation of the restaurant. When inspectors shut down the restaurant, they had found 45–50 mice droppings throughout the premises, indicating a rodent problem that Shopiro says arose from the age of the building and the lack of access of the basement. Shopiro is hopeful for the long term future of The Big Easy.